This episode is sponsored by our KnitBritish Woolly Mucker, Alison Mayne! AKA Bakerstreetgirl on Ravelry, Alison is a doctoral researcher in women’s craft experiences, at Sheffield. As you will hear on today’s show, she always has a pair of socks on the needles. Listen in to hear Alison and I chat and hear a little bit about her craft pursuits and her ongoing studies. Thanks to Alison for sponsoring our show today! 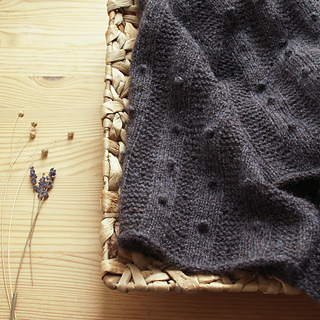 Our lovely listener Helene has released a pattern and named it in honour of the show! The Let’s Get Crackin shawl is a textured triangular shawl, knit in Mohair Blend from Blacker. This yarn has recently been relaunched with new shades and you should check them out! Thank you, Helene, this shawl is crackin! Did you know Countess Ablaze has moved to palatial new surroundings in Manchester’s Northern Quarter? 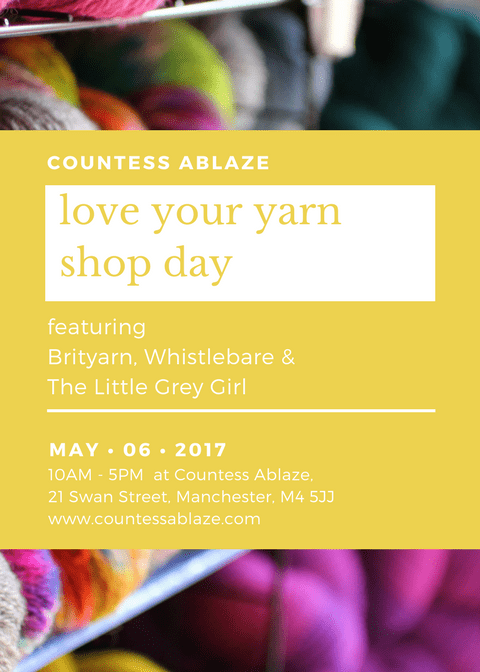 Did you also know that she is hosting a Love Your Yarn Shop Day, on Saturday 6th May, with BritYarn, Whistlebare and The Little Grey Girl ? NO? Well, now you do! If you can get to Manchester next Saturday, do try and go! Having visited the old studio last year I can only imagine that vibe in the new place! Congrats on your new home, Countess. 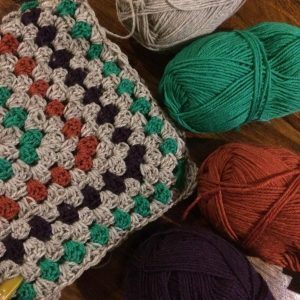 You may have seen my blog post on my remakery focus this week and you may have seen the chat in the Ravelry group. I will be remaking Marin first and in terms of yarn, I got an offer from Kettle Yarn Co that I couldn’t refuse. Kettle Yarn Co has a special place in my heart as I bought yarn from there for my first ever KB podcast yarn review! 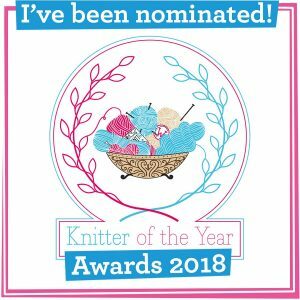 Linda’s Romney and Shetland yarn is forthcoming, so I shall tell you more soon and you should sign up to her Kettle Krew newsletter to await more news! What do you fancy remaking? What was the first thing you remember knitting and the last thing you cast off? Alison’s first knit was only cast off four years ago and it was a Knit Night, by Louise Zass Bangham (it is BEADED!). She is a huge sock fan. her go -t0 favourite sock pattern is Juju Vail’s Afterthought heel pattern. For yarn, Alison loves the Ferret! Rusty Ferret’s doll base is Allison’s recommend for shawls and lovers of colour and soft yarn, She is also a huge fan of LJ too. We also talked about Alison’s doctoral research into women’s crafting experiences and online communities, which I know will resonate with lots of you listeners. The recording is in a library cafe, which is not so quiet. I apologise that we sound like we are sitting under a swimming pool (!) its a bit of jiggery pokery to reduce the mumbling and tea-trolley clanging in the background! 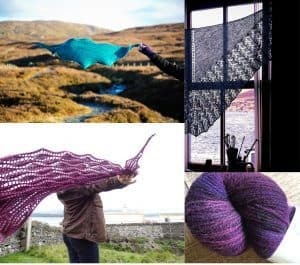 Renee Callahan, of East London Knit (and now the very awesome ELK podcast!) has released a paper and ink edition of her The Zen Variations collection! The book is a real wee treasure, as well as the beautiful pictures, it features great schematics and a wonderful, easy to follow layout. You can get on over to the ELK Etsy shop and score yourself a copy, which costs £15.00, but you can also have the chance to WIN a copy. 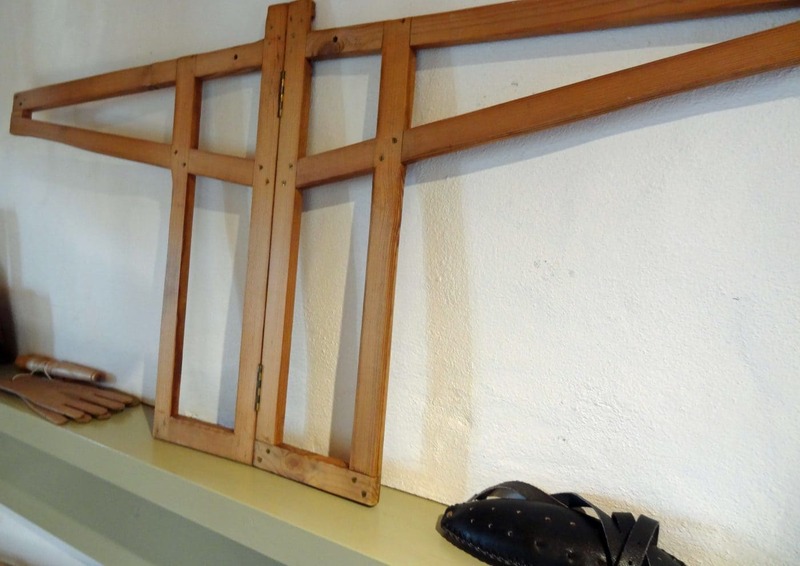 About a year and half ago there was a documentary from BBC Alba, our Gaelic station, which went on a very personal, moving and uplifting journey with Marybell MacIntyre, who took her newly learned skills in knitting a local pattern and decided to make an Eriskay gansey for Pope Francis. Anyone who listens to this podcast knows that meaning and value in our knitting skills and the people we knit for – the knitworthy – are so important to me and this film really resonated with me and I know it will with you. FINALLY the film is back on BBC Iplayer for a couple of weeks and I can bring you an interview I did at Shetland Wool Week, that year, that is connected to this film. Here is the link to the BBC iplayer episode of Trusadh (please don’t be angry with me or complain to me if you can’t view this in your part of the world, or it has disappeared by the time you try to watch it – it is time sensitive) – I hope you get to see it! At Shetland Wool Week 2015 I met Shona MacLellan who not only was involved in making this lovely film, but was making an Eriskay gansey. The pattern is based on one that her Great Granny used to knit, but there was never a pattern written down and so Shona is working from a photograph of her Grand-Uncle wearing an Eriskay gansey. Shona took tuition to learn the techniques and the wool she is using is a 5ply Cheviot, made at Uist Wool. 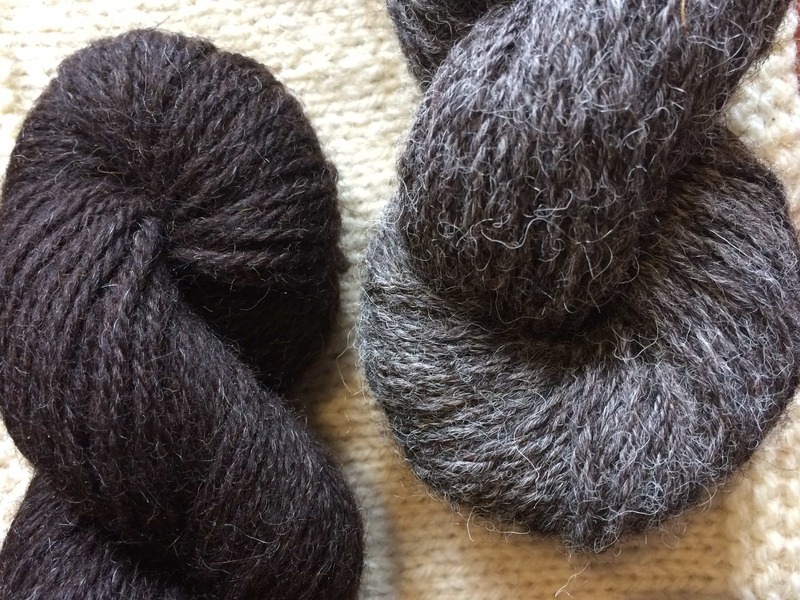 Shona did the CALANAS course at Uist Wool, which was set up to encourage people into developing wool work skills. The Eriskay gansey does have a unique look, when I first saw pictures I felt it was surely the most “fancy” in terms of the patterns and their layout (but I’m no expert or historian, I’ve just never seen one like it); there are vertical patterns and motifs which start from the bottom rib and then there is a horizontal design at the chest, followed by further motifs on the chest. I spoke to Shona this week and she is still working on her gansey and hopes to be finish it soon. Thanks to her for talking to me (ages ago) and for sending me some photos. I’m taking a wee break and will be back near the end of May. In that time I am taking a special trip especially for the podcast and I’m going to try and keep it a secret until I get there, so you might want to watch my IG feed, if I can manage to share with you where I’m going! Next month we will also meet another of our lovely woolly muckers, Emma Goodlad, and I’ll have some BritYarn news too. Don’t forget to enter the giveaway for The Zen Variations and also join us for the Remakery! 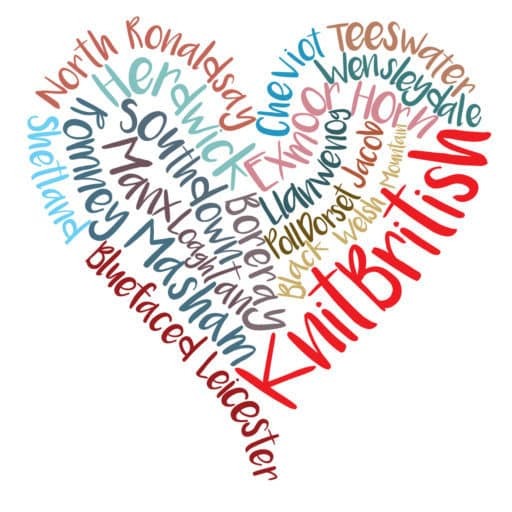 Thanks for all your connections online and in person and the time you take to rate and review KnitBritish on Itunes. Until next time, here is a wee sneaky peep at something I’ve been making with yarn I got from Isla at BritYarn! Music: Carefree by Kevin McLeod and Singin’ in The Rain (demo) by David Mumford – Both are on FreeMusicArchive and are both shared under Creative Commons Attribution license. 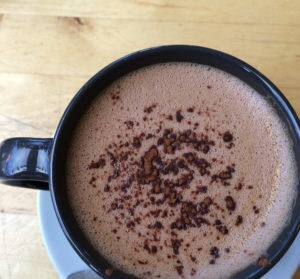 Images are copyright to those attributed in the caption or in the accompanying information, otherwise they are mine. As I state, I was give a copy of Zen Variations to review and giveaway -whether I am given products to review or buy it myself I always offer you a genuine and honest review and all the details are correct at time of recording. Oh Louise, what an interesting podcast. I so enjoyed listening to Shona and immediately went to watch the documentary which was so good. To non-knitters, I hope it shows how long and involved it is to knit something so detailed (I gasped and was so saddened by the story from the Eriskay shop about the Japanese buying up ganseys and reselling them at such a huge profit). I was also very moved by the tragedy in Marybell’s life and how connected that was with the traditional purpose behind many historical ganseys. Such a great story and definitely a meaningful knit if ever there was one! Now to dry my tears and get back to my own knitting. Thanks again for bringing us another story of community and connection. That documentary was brilliant – thanks, I’d never have known anything about it. Had a wee tear in my eye when Marybell (spoilers!) gave the Pope His jumper!! Thanks from me too for the link to Marybell. I have just finished watching it. I would not have spotted it if it weren’t for your link. Still need to listen to your podcast but will leave that for another day, it might be warm enough one afternoon to listen to it while knitting in the garden. I have only recently found your podcasts and am enjoying them so much. Previous PostThe Remakery : Which shawl first? Next Postbags of remakery motivation!